I used to regularly read a website called ‘Clients from hell’. Some of the stories there made me laugh out loud. Many of them I could relate to having had clients like those myself. Recently though I had something of a new one. I was approached to help with a potential new client who told me that they had had some ‘competent’ but ‘uninspiring designs’ and that they had ‘tried a could a couple of developers too’ and been let down badly. As it happens it was a really interesting job, with possibilities. After a few minutes chat it was decided that the potential would send me an email – and here’s the kicker! ‘Unusually honest’???? And competent too???? How kind of you to say so. As I read this I knew that I did not want this job. No way. Was this potential really saying that most web developers are not honest, or indeed competent? It certainly read that way. Perhaps this potential had experienced a really bad run. However, it takes a certain something to voice your criticism of people like this when you don’t know your audience. And it was that which worried me. Sometimes business gurus will tell us that if you can win over a client like this they can become one of your best. Sometimes though it just makes more sense to run to the hills. I have been making websites now for 15 years. This post is about one of the hardest questions that I am asked in my work as a web designer. Can you work out what it is from these images? If that’s too hard what about this one? I get several inquiries every month directly from google – if you want that too …. About 50% of my time is spent in what you might call ‘website problem solving.’ When I started making websites, well over 15 years ago I thought I’d be spending my time …. creating websites. But everyday, for every project new or old there are problems to solve. 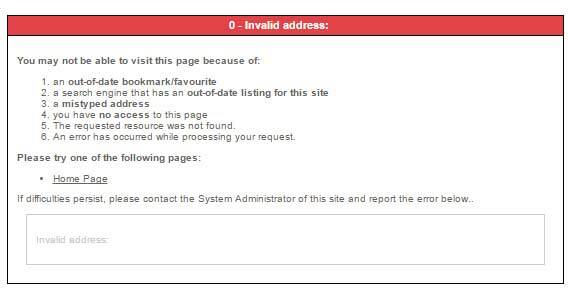 So here’s the first of what might (who knows) become a regular post – ‘Website Problem Solving’ – the VST booking form stops working. I want to point out at this point that the plugin used for booking is first rate and in no way is this to be seen as a knock on them. A few minutes investigation revealed that the user was being taken to this url. It didn’t look right to me – just felt wrong. I suppose somehow you get a knack for these things. So, I posted on the forum of the plugin – this is where paid support comes into its own, and is one reason why I recommend buying it to my clients. This time the reply came back very soon – ‘we have found a bug and here’s a patch.’ Couple of days later a new version is released. Result – booking forms back on line. I didn’t solve the problem, but I was able to look into it enough to work out that it wasn’t anything the good people at VST were doing, or a hosting issue. Phew yes it works now! Thank you. Please invoice us for your time. 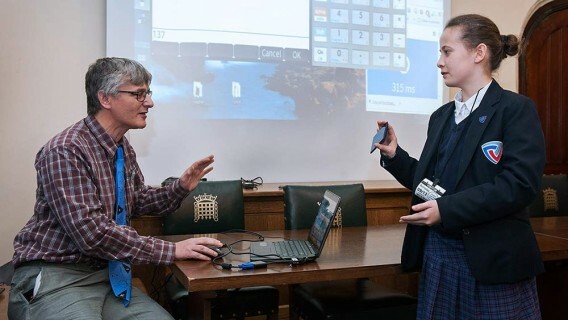 On Wednesday 9th December I went to the Houses of Parliament for the very first time to witness an event planned to showcase some of the work that’s gone on for the ‘Space to Earth Challenge.’ Here’s a short article about a web developer’s perspective on this space project. First a little background. I was approached to become the projects web developer – this means my main role is to build the website, based on the teams designs. So, if you like I am they techy geek. What is really exciting for me, is that often the developer is locked in a cupboard, and fed ‘pop tarts and coffee’ until the work is finished (only kidding). 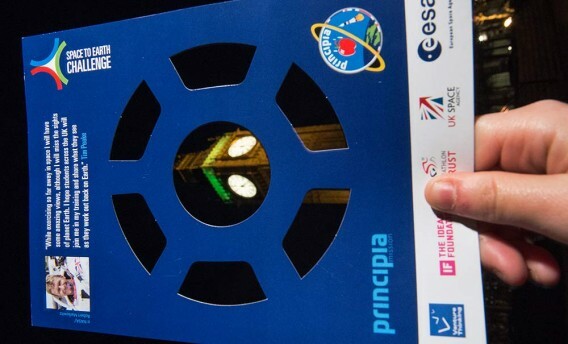 In this case I have been involved as part of a large, multidisciplinary team, got the chance to visit the European Astronaut Centre in Cologne, and even (deep breath) had the best part of a day teaching a small group of yr10/12 pupils who helped us gather some of the excellent resources on the website. Visiting the Houses of Parliament was fun; being surrounded by all that history can’t be anything else really. But in a way that paled into relative insignificance. 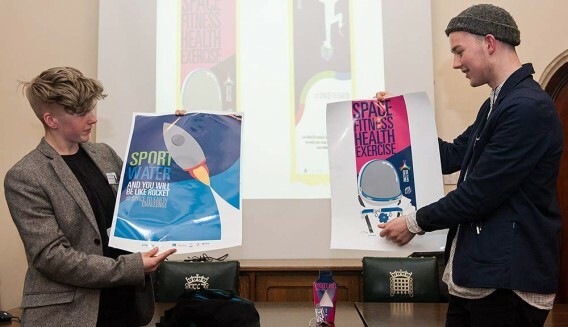 Dr Jon Scott who spoke about the importance of exercise on the ISS to reduce bone loss and muscle atrophy. Lauren Steadman, a Team GB Paralympic athlete, describe her triathlon training and how children could take up the Space to Earth Challenge. For me though the young people stole the show. 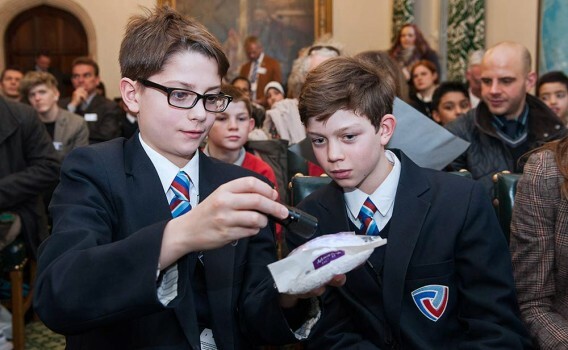 School children spoke with great enthusiasm about elements of the challenge, ranging from the different sports they had done to cover the distance to the ISS, through to working with some of the exotic materials used in space research. Their smiles and fascination shone through. 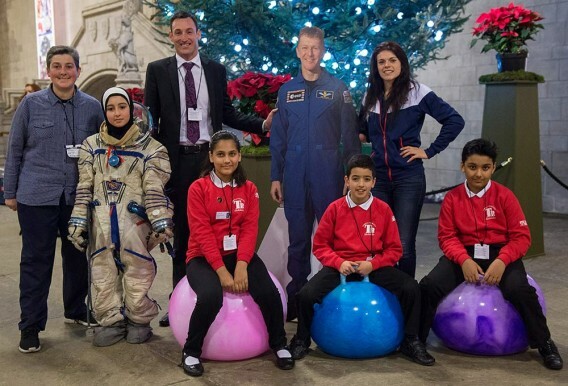 Several students got to wear a space suit – how cool is that – and why do adults never get asked eh? It’s been really exciting seeing the project take shape. I have seen it go from an idea sketched out in a piece of A3, though multiple stages of development and now we’re just 1 day away from Tim’s launch (as I write). Best of all those was seeing how the pupils and their teachers were using the work done by the S2E team, and being really inspired about it. And I had a part, along with the team, in making that happen. Makes all those hours in the cupboard worthwhile! Wow – what’s going on here then? This is SUCH a cool job, and so EXACTLY up my street. It ticks so many of my boxes – so when I am working on this project i am a happy little programmer. Middleton is a small school offering specialist care. 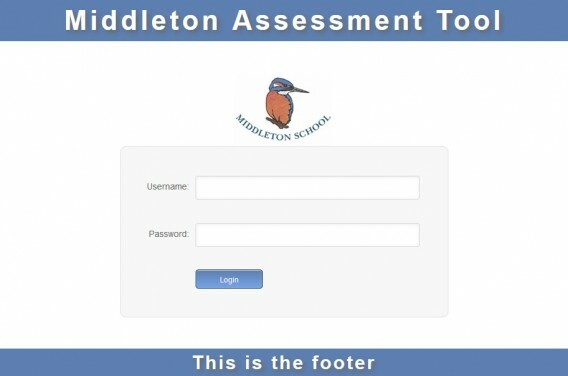 They have been using a great program, based around Excel to store all their assessment data, and produce a variety of specialist reports for a range of audience – teachers, parents, governors, Ofsted and so on. However, support for this program is no longer available, and whilst it still works its becoming less and less future proof. 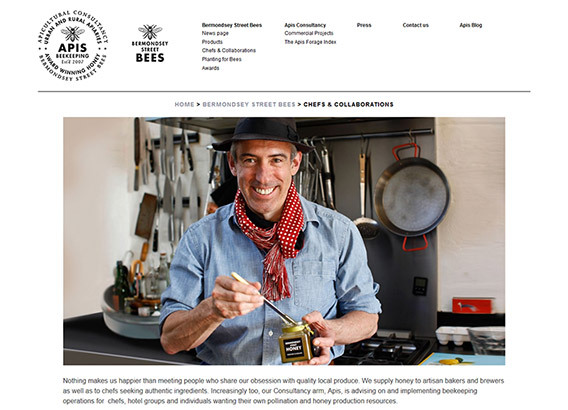 Recently I have been working with the hugely talented Lydia Thornley on a new website for Sarah and Dale at Bermondsey Street Bees. Recently I have been working on how I run my business – well, I guess we business owners are always doing that aren’t we? I posted a question on a linkedin forum – with a mere 28,000 odd members. Imagine my surprise when this post got LOTS of feedback – so much in fact that I became a TOP Contributor – and here’s a screen shot to prove it. Ten reasons why ee-web can help! You’re looking for a web professional to help you develop your web presence? why pick ee-web design and development? Since November 2013 (approx!) I have been involved with a really enjoyable project based in Great Dunmow, Essex. Voluntary Sector Training (VST from now) had an existing site which was based around an “Off the shelf template” and an old version of joomla. VST offer training services for the voluntary sector, and while the old site did enable them to take bookings, it was quite old, had a few layout problems and wasn’t responsive. The more that responsive websites take off, and just about every job I do now is responsive, the more I came up against the same, silly little problem. 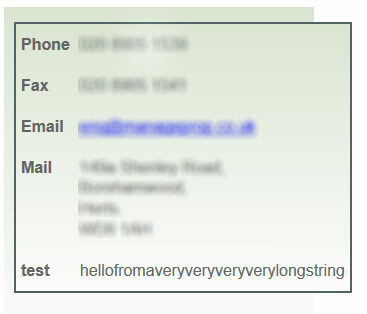 Namely – how do you avoid long email addresses sticking out of their containers? Like this – you can see how the long string at the bottom has pushed the table outside of its container. tag or font-size. But as virtaully all my work is responsive now the need to sort this problem has become more pressing. So job done, at least in this case!